Whitwell based artist Andrea Naylor cooped two prestigious awards in November. Andrea won the People's Choice Award for the third year running at Art In Lyddington 2017 and was then awarded the Coleman's prize at the Rutland Open Art Exhibition held in Oakham. Art In Lyddington was held from November 3-5th and visitors had the chance to vote for their favourite artist. The winner was announced at the end of the exhibition. "I am delighted to receive the prize again this year, it gives me great encouragement and incentive to continue my work", commented Andrea. "This is the first time in the exhibition's history that the top award has been awarded to the same artist for three consecutive years so I am extremely proud"
The Rutland Open Art Exhibition had its preview evening on November 17 where Andrea won the Coleman's Prize for her piece called "Tales To Tell". 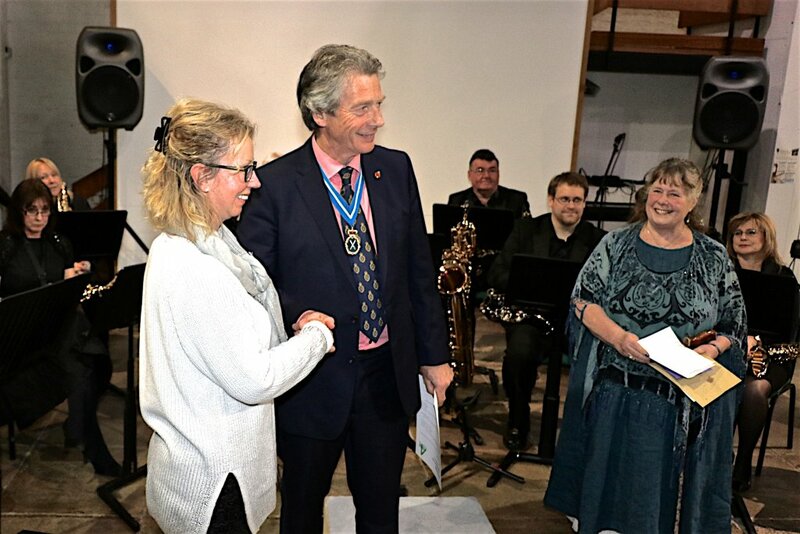 The award was presented by the High Sheriff of Rutland and entertainment followed by the Chater Choir, Emma Farmer and Rutland Saxophone Ensemble. Andrea said "I really didn't expect to win an award and felt very honored". Andrea works mainly on commissioned portraits of horses, pets and people but also holds monthly workshops where she teaches budding artists at her home studio which have been growing in popularity over the years. "I started with a small monthly group but this has now grown to several a month as well as a number of one-to-one sessions" she said. Andrea's preferred medium is pastel, a very subtle medium that is great for capturing the reality of fur and skin. Working in her 'realistic' style ensures that she captures the likeness and character of her subject.